I’m proud to say that I’ve been running my business for a little more than one year now. I’ve come to realize why so many entrepreneurs fail with their businesses within the first year. Spoiler alert: it’s A LOT of hard work. This year was packed with immense personal and professional lessons for me. I’ve never had so many successes and total failures in the span of a year. 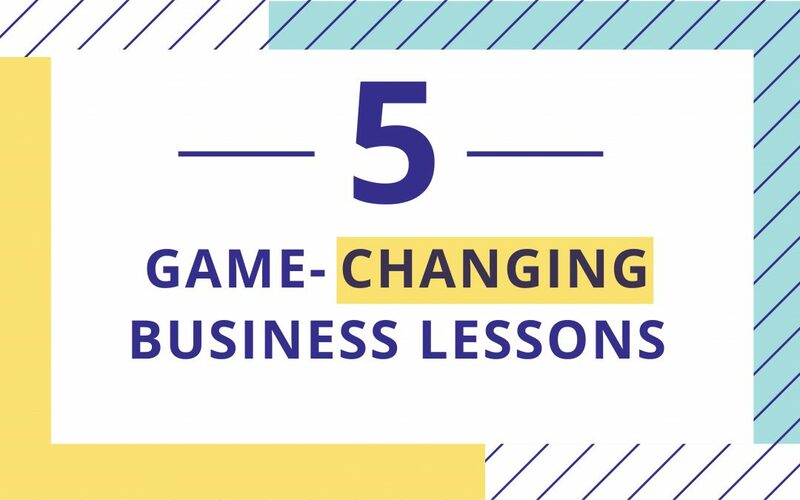 I’m excited to be sharing this article with you about the some of the game-changing business lessons I’ve learned so far. I’ve written this piece for who I was two years ago. At that time, I was only starting to find my feet with my business. I wish I had the opportunity to read what I’ve written below at that time. While reading this article, imagine how these insights can be applied to the goals you’re currently working towards in your career. Early on in my plunge into the entrepreneurial world, I learned a very powerful business lesson. You must be part of a great network so that you can move your business forward. 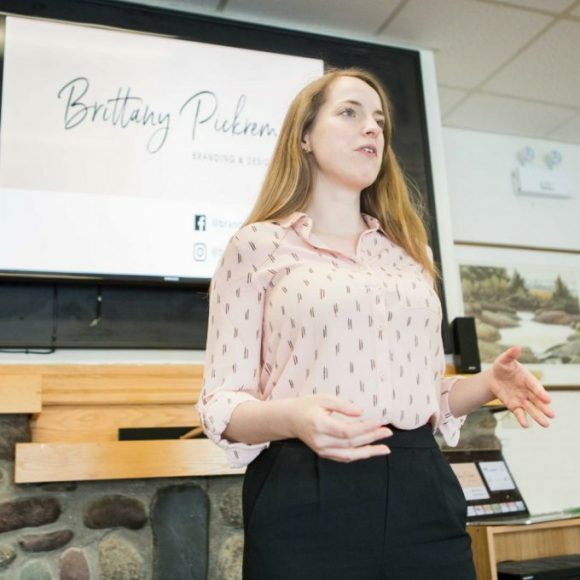 I was very fortunate to have joined a year-round business development program called ‘The Incubator’, founded by my brilliant business coach, Eleanor Beaton. Being a part of this group over the past two years has been invaluable to me. It has also immensely helped me in launching and growing my business. Not to mention, I have formed friendships and connections with fellow women in business who are total badasses. The truth of the matter is that without this group, I sadly would have failed to get my business off the ground. Having a group that you are accountable to forces you to take action and when you take action, you get results. As humans, we’re not designed to be islands onto ourselves and it’s especially important to not isolate yourself when you are building a business. Having the support of a great network is crucial to building your biz or taking it to the next level. I’ve worked in the design industry for 11 years now. For the better part of those years, I spent working for someone else. Throughout that time I became a very gifted technician of my craft. I learned how to be a great designer and a very effective employee. Outside of doing a great job as an employed designer, I never needed to worry about how I was getting paid. When I made the jump to becoming the owner of my business, I really struggled to identify with the new responsibilities that were suddenly required of me under my role as the CEO. Imagine this – you’re working at a company and you hold a position that is well beneath the executive team. One day the HR manager strolls up to you and congratulates you on your new role as the CEO. Essentially, that’s exactly what happened to me a year ago, when I promoted myself. Because I didn’t know the first thing about how to be the leader of my company, I had many challenges and missteps over the past couple of years. I was also responsible for my own marketing, sales, accounting, customer relations, contractors and more. I’m now required to stand in the spotlight and speak instead of sitting silently behind a computer. It was a complete 360 from how I had built my career and it was a really dramatic shift in mindset. The sooner that you can cultivate a CEO mindset in your business the more success you will see. Having a CEO mindset truly impacts everything from your self-worth to your sales. Knowing your numbers may sound basic or obvious to you, but it wasn’t that way for me as an early, creative-minded entrepreneur. I still don’t exactly ‘like’ numbers but I understand their importance and their place in my business. I have come to respect the truth they speak and the insights they provide me. Numbers don’t lie because they don’t care about your feelings, and I like that about numbers. A little attention and intention can go a LONG way when it comes to your business, especially with your numbers. After I set an annual income goal (intention) and I started religiously recording my sales (attention) a really interesting thing happened. Not only did I reach my income goal, but I also surpassed it! One of my favourite sayings is ‘energy goes where attention flows’. When I paid attention to my numbers instead of hiding from them they actually grew. The bottom line is that having an awareness of what my numbers are doing on a regular basis has helped me to grow my business. It tells me what’s going well, and what could be going better. This data is a very powerful asset to your business. If you’re like me and you’re not a naturally number-oriented person, hire a chartered accountant or a gifted financial advisor like Tracey Bissett to help you organize your numbers. This will keep you on track with paying taxes and managing other important financial aspects of your business. You might be thinking, thanks Brittany, I can get this ‘sage’ advice on Instagram about 20 times a day. Stick with me – the reason this saying is so popular is that there is a lot of truth to it. Rarely – if ever – have I experienced any type of growth without some type of discomfort. The funny thing is that when you’re feeling uncomfortable, you’re growing. Growth is actually meant to be uncomfortable. Last January, I booked my first-ever speaking gig. I don’t think I’ve ever been more nervous in my life. I even avoided drinking any coffee that morning so I could give my nerves as much of a break as possible. I was legitimately worried that I might die, or worse, go completely blank on what I needed to say. Luckily for me, none of those things happened and I successfully completed my first presentation. Me at one of my first-ever speaking engagements! I realize that not everyone is as intimidated by public speaking as I am, but think about what pushing your comfort zone looks like to you. What makes you sweat just thinking about it? Did you think of something? Great. Now go do it! If you’re not willing to frequently challenge the borders of your comfort zone you will not move forward with your goals. PS…If you’d like to see me sweat it out again at a public speaking event, I’d like to personally invite you to join me for my talk at Blog Jam coming up next month! You must make sure that you are considering your customer’s experience and needs first. This means that you have procedures in place that make your customer feel REALLY great about purchasing from you. So great, that they can’t imagine going to anyone else for the product or service that you provide them. As a customer, you likely exclusively go to certain businesses for certain things. For me, it’s my shoe repair guy. He’s located fairly close to where I live, he does a great job and he’s affordable. Because of this consistent experience, I will never send my shoes to anyone else. My shoe repair guy is a shining example of a consistently great customer service experience. All business owners must master that same skill. If your procedures are not set-up to be customer experience focused you may have a problem and not even realize it. I recently had a painful wake-up call around this lesson. I had been working with a customer on developing their visual brand for a couple months. Throughout the project, their experience had only been with me. I neglected to tell my customer that I work with other skilled contractors so that their new brand will seamlessly translate into offline and online applications. When I finally introduced my contractor to my customer, it was too late. My contractor had a totally different style than what my customer had come to expect from me, and it broke their experience. Ultimately, as a business owner, you need to solve your customer’s pain and not cause it. Customer-focused procedures will help to ensure a consistent experience while working with you. Being an entrepreneur, or being successful in any career, is far from easy. If you keep an attitude where you are always willing to learn, you will always win. I guarantee that you will become a better leader when you can realize your weaknesses and intentionally work towards strengthening them. Its ok to feel your fears but remember to offer them a seat. You will be the best CEO of your business by taking consistent, uncomfortable, imperfect action. So glad you enjoyed reading it Leanne!